Between your phone, your tablet, and your laptop, you bring your favorite anime with you wherever you go. Why should your favorite convention be any different? 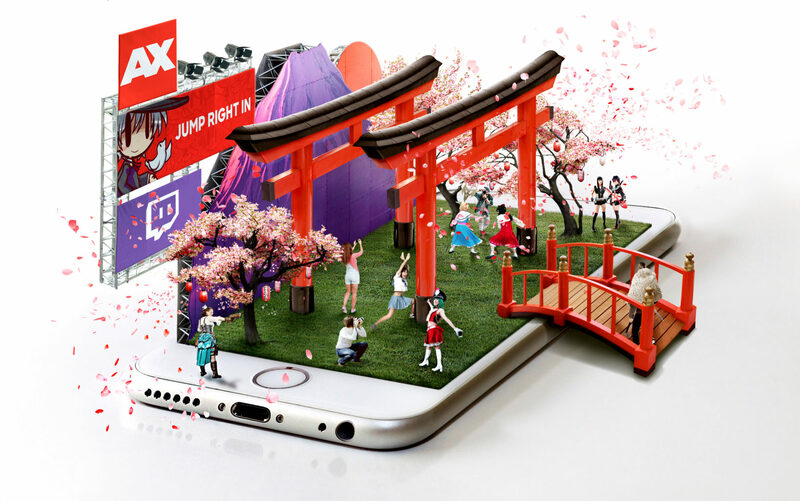 Be a part of Anime Expo wherever you are through our Twitch stream. Couldn’t make it to the event this year? No problem. When you connect to Anime Expo through Twitch, you get a front row seat to everything you want to see. With nonstop streaming from Petree Hall, you’ll have access the best of the expo, including exciting industry panels, guest Q&A sessions, and more. No matter where you are, you’ll never have to miss a second. But watching is just the beginning. Join the stream to stay connected with a community of fans who are just as obsessed with Japanese pop culture as you are. Anime Expo is what it is today because of its community, and our livestream is at the heart of that network. This year’s show is going to be our best yet, and we know you won’t want to miss a second of it. Follow or subscribe now to make sure you get the full experience. We couldn’t be more excited to share Anime Expo 2017 with the people who have made it possible – fellow fans like you. Follow us on Twitch today and get ready for an expo you’ll never forget.